This website is independent of any affiliation or ties to park operators or holiday letting firms. All caravans shown on this website are privately owned and available for sale or let. The website has been created for users wishing to hire a static caravan holiday home and for caravan owners whom may require assistance with the private rent of their caravan holiday home. The services of this web site are open to private caravan owners from all parks across the UK. Any personal information retained by this website will remain private unless otherwise authorised. This site provides a service for the benefit of caravan owner and holiday maker and does not retain any third party liability for any disputes that may arise between them. Static Caravan UK reserve the right to amend information contained within or relating to this website without prior notification. 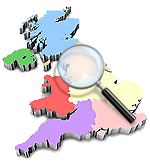 Static Caravan UK shall endeavour to provide web visitors with the most up-to-date and comprehensive information possible, however, it remains the responsibility of the user to ensure regular review of available site information. Where links have been placed to third-party sites, Static Caravan UK cannot accept any responsibility for their content. Should you have any enquiries directly relating to the content or nature of this website, or should wish to report any broken links, please e-mail mike@static-caravan.co.uk. All advertisers (residents) their and occupants must adhere to park rules & regulations. A copy of the rules and regulations governing individual parks must be obtained from the park operators themselves. This is a private web site, therefore any information concerning, and for the attention of the holiday parks upon which the caravans reside must be issued directly. All information and images contained within this site, with the exception of affiliated company logos and images, are Copyright 2004-2019 Static Caravan UK. This web-site has been designed, published & maintained by Static Caravan UK.